Designing is John’s strong point. With over 25 years of experience, a trained eye, and a good ear, John first listens to your needs then puts pen to paper and starts to sketch for you. Combining this art with examples in the showroom and a myriad of wonderful photographs your idea becomes a reality. John has lectured for the A.S.I.D. on furniture design addressing how to incorporate modern technologies into a traditional design. He’s also a problem solver for those awkward spaces and can always find the perfect balance between function and aesthetic. 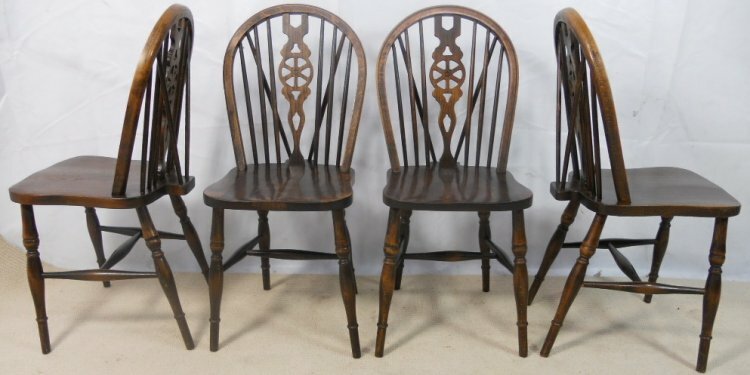 Antique pine furniture, as we know it today started in popularity in the late 1960’s. Young homemakers not wanting the mass produced melamine cheap furniture turned to the auction rooms and secondhand furniture stores for the old pine furniture that had survived from the previous century. Often covered in many coats of paint, a chest of drawers was a bargain at $10. First they would strip their newly acquired antique down to bare wood, then polish with Briwax, an inexpensive wax polish with a light brown color and this was the birth of STRIPPED PINE FURNITURE, later to be labeled country pine furniture. The antique trade at the time disowned it, considering it junk furniture and not a fine hardwood antique. Little did they know because over the following 30 years it grew in popularity and prices rose dramatically and a new cottage industry was born. That $10 chest of drawers would sell for $500 in the 90’s. Although she never sold pine furniture herself, Laura Ashley continually used pine furniture as props when displaying her beautiful print designed fabrics for home furnishings, this furthered the promotion and popularity of pine furniture. By the 80’s demand was so strong in England coupled with the growing export business to America, another industry popped up. “Knock offs” the building of reproduction pine furniture in both new and reclaimed pine closely copying the original styles. In England a dresser (or hutch as it’s called in America) will differ in style depending on the region of it’s construction, and named after that region ie. Cornish dresser, Irish dresser, Welsh dresser, Lincolnshire dresser, Scottish dresser. Differences may at first appear subtle but once one knows what to look for it becomes obvious, much like seeing a Mercedes, BMW, or Jaguar without the emblem, one would still be able to identify it. Throughout Britain people were stripping their interior room doors and adding a wax finish as most houses have interior wood work of pine. If you’re watching an English movie you will notice the pine doors and pine kitchen furniture. For me, the original old pine will always have a place in our homes, but the mass produced cheap new pine will and is being discarded for the next fashion. The term Country pine, a little misleading term. There is of course the simple crudely built odd pieces we come across which are obviously country pine, but most of the pine furniture we see and considered country pine furniture actually comes from the towns and cities. The most commonly found pine pieces like chest of drawers, wash stands and small kitchen tables along with wardrobes, night stands and hutches of all shapes and sizes were mass produced in factories for the middle income city folk. In the 1800’s without the use of electricity, hard wood pieces in oak, cherry, walnut, etc. were much more difficult to build and time consuming, hence hardwood furniture was for fine woodworkers producing high end quality expensive pieces. So, soft pine was the wood of choice, cheaper to buy as lumber, faster to cut and chisel by hand and a lot less time to sand. Originally the finishes would be in dark stains and varnished in an attempt to mimic the quality high end furnishings. Following WWII, although a gray time in English history, people started to paint furniture white, cream, and light green in an attempt to brighten their homes. At this time there was no mention of country pine furniture, this label started in the 60’s as a new craze hit England. “Strip these old pieces and polish the bare wood.” Hence the original term of “STRIPPED PINE”. Later followed by the stores calling it “COUNTRY PINE FURNITURE”, a far nicer marketing name.